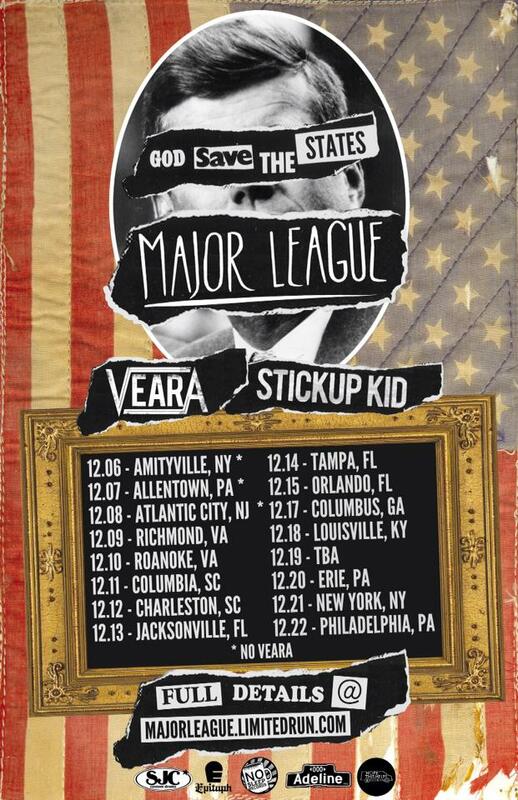 New Jersey pop-punk band Major League will be hitting Planet Trog on December 7th with CA-based Stickup Kid on their “God Save the States” tour. Major League, signed to No Sleep Records in Los Angeles, released their last full-length, Hard Feelings, in November of last year. Since then the band has been touring the country extensively in support of the album. Stickup Kid, who landed a gig opening for Green Day at SXSW earlier this year, released their LP Future Fire last year on Adeline Records. Tickets are an extremely reasonable $10 ($11.34 with fees) and can be purchased here. How Much Booze Do LV Restaurants Buy?